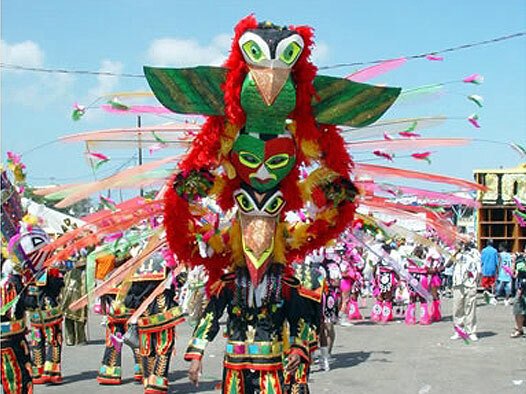 Carnival month and for Carnival you need a one pot meal and the best is peas and Rice or Pelau, the latter being Peas and Rice with stewed meat! The ‘Peas’ in the rice and Pelau are Pigeon peas, something that Tobago is famous for and an essential part of both Christmas and Carnival eating! One onion chopped, one clove of garlic. Thyme, chive, shadow bene (coriander). To ‘burst’ the peas: Heat a tablespoon of oil with a whole clove of garlic in a pot until the clove of garlic browns. Then add the peas, add some water to assist the ‘bursting’ process. Add NO salt as this prevents the peas from bursting, and it is called ‘bursting’ as that is precisely what the pea does. To burst the peas, add the pumpkin, rice, coconut milk, onion and a pinch of salt and a pinch of brown sugar and the seasonings suitably chopped. Put a whole hot pepper in, remembering on no account to break it otherwise it won’t be the flavour you get, it’ll be heat! Boil down slowly on a medium fire until dry and the rice is soft. Remove the pepper and enjoy!